New Price! Clean CARFAX. 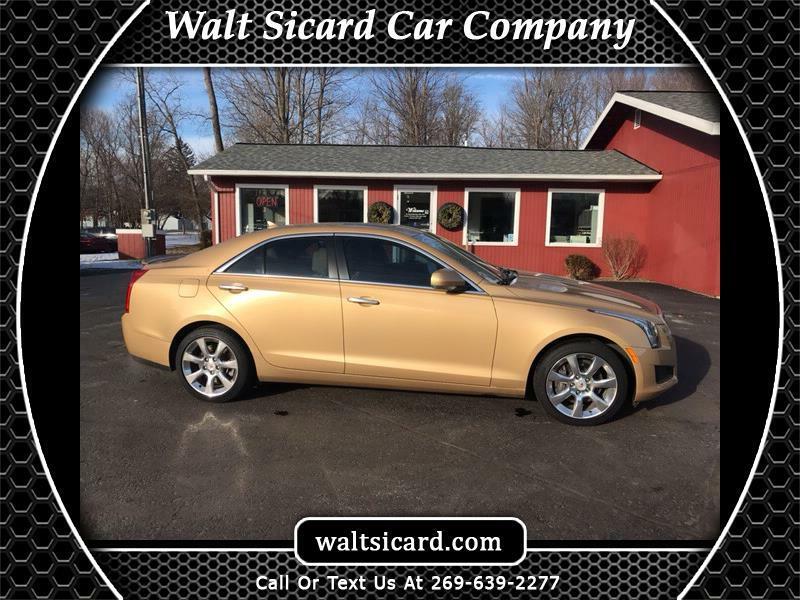 Gold Metallic 2013 Cadillac ATS 3.6L Luxury AWD 6-Speed Automatic 3.6L V6 DI DOHC VVT 2013 Cadillac ATS 3.6L Luxury in Gold Metallic, Sought After Options Include, 4-Wheel Disc Antilock Brembo Fr Performance Brakes, Adaptive Remote Start, Auto-Dimming Inside Rear-View Mirror, Driver & Front Passenger Seat Adjusters, Keyless Access Passive Entry, Luxury Equipment Group 1SQ, Luxury Package, Memory Package, Midnight Chrome Accented Grille, Outside Heated Power-Adjustable Mirrors, Power Sunroof, Rear-View Backup Camera, Seating Package, Split-Folding Rear Seat, Ultrasonic Front Parking Assist, Ultrasonic Rear Parking Assist, Universal Home Remote.